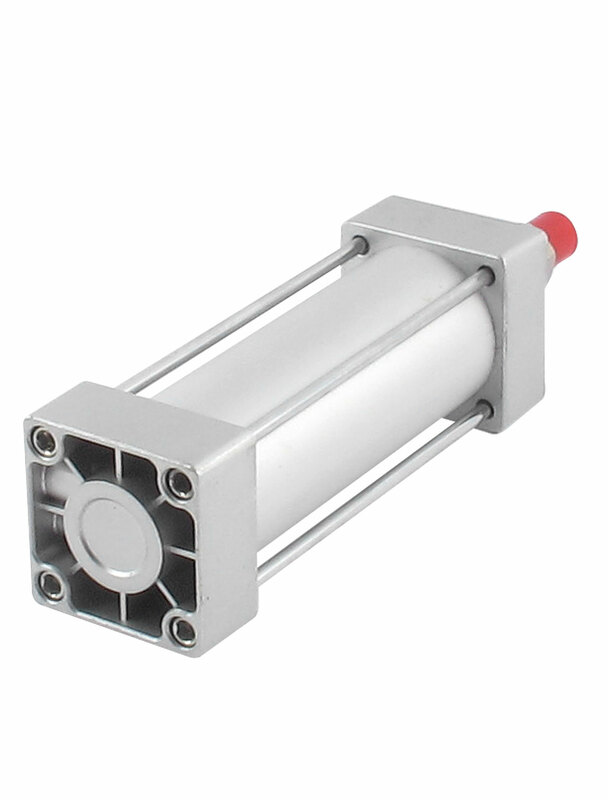 This Cylinder features: 50mm bore and 100mm stroke, 1.0Mpa pressure, double acting, single rod. Two screw hole connections to get the air in and out, and a rod connected to the plunger that goes in and out. Cylinder is a mechanical devices which utilize the power of compressed gas to produce a force in a reciprocating linear motion. Working Medium : Air;Max Pressure : 1.0MPa / 10.2Kg/cm2 / 145PSI;Bore : 50mm / 1.9"
Stroke : 100mm / 3.9";Rod Diameter : 20mm / 0.78";Rod Thread Diameter : 16mm / 0.63"